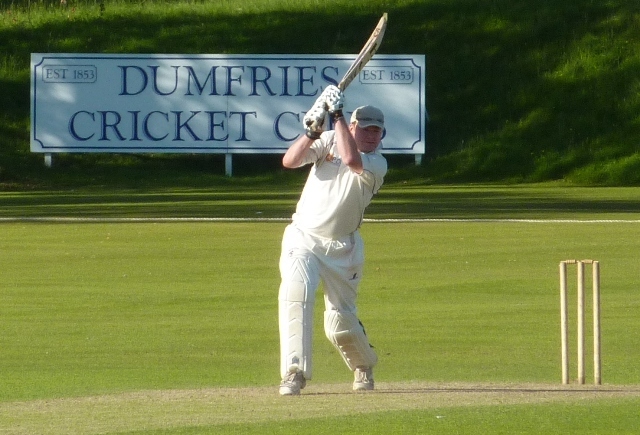 On Friday evening APD Dumfries won at Hawick by 90 runs in the Borders Murgitroyd Twenty20 semi-final after setting an imposing target of 142 for 6. Scott Beveridge scored 53 and Chris McCutcheon and youngster Dean Brotherston each claimed three wickets as Hawick were dismissed for 52. 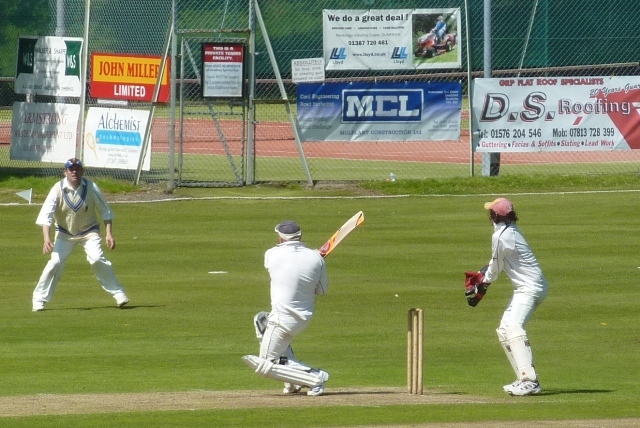 On Saturday APD Dumfries lost their home Scottish Championship match against Weirs by four wickets and in the last over. Dumfries recovered from the loss of early wickets to post 197 thanks to Scott Beveridge with 57 and Stuart Corbett-Byers with 48. However opener Murray scored an unbeaten century for Weirs to reach their target with six wickets down. The next day, Site Electrical Nunholm beat the Western Cricket Academy in the West SNCL Reserve League by scoring a single off the last ball to reach 217 for 9 in an event filled finish at Nunholm. The Academy were all out for 216 with Beveridge taking three wickets and Maskrey, Cox and Davidson each taking two. Beveridge continued his run scoring weekend with 78 in the ultimately successful reply supported by 38 from Farries and 34 from Williams. Dumfries’s Tom McBride was named this week in the 14 man Scotland U19 squad for the U19 World Cup qualifying tournament which takes starts at the end of July. The tournament takes place in Ireland and Scotland face the prospect of nine games to qualify for the U19 World Cup in Australia next year. Cricket is available over the summer holidays at Nunholm with the Dumfries Cricket Club Summer Camp and the club’s weekly Monday night junior coaching sessions (6:15-8). The camp takes place on Tuesday and Wednesday, the 26/27th July (10-3pm) for those aged 7 to 16. Cost will be £20. Bookings can be made by contacting dumfriescricketclub@gmail.com or Trefor Williams on 01387 256455. On Saturday, APD Dumfries travel to East Kilbride in the Scottish Championship and Site Electrical Nunholm play at Meikleriggs in the West SNCL Reserve League. On Sunday there is a local derby in prospect in the SCU Trophy with Dumfries drawn at home at Nunholm against St Michaels. Brammer Dumfries, the West Sunday League side, travel to play Clydesdale.